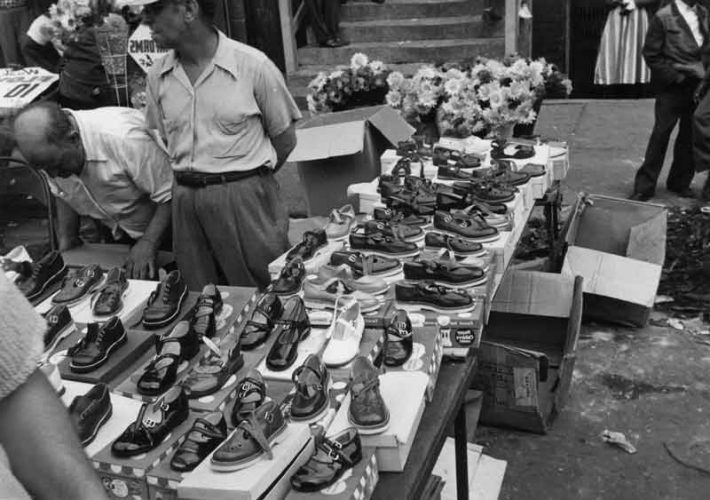 Shoe salesmen stand behind their wares at the Maxwell Street Market. All images published by the Maxwell Street Foundation within this website are copyright of the artist and are for educational, personal, and/or noncommercial use only. For any other use, please contact gro.n1555619304oitad1555619304nuoft1555619304eerts1555619304llewx1555619304am@of1555619304ni1555619304.